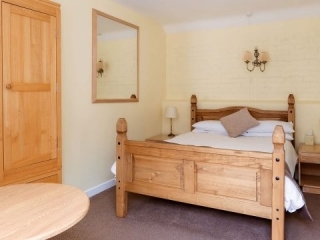 Bed And Breakfast Oxford - Our 10 chalet style rooms are situated around a courtyard garden and are all on the ground floor level. 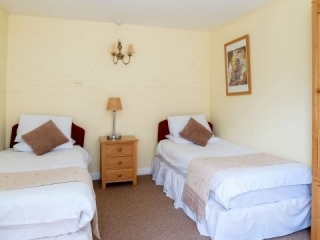 We offer double, twin or single rooms and can accommodate family rooms based on two adults and one child under the age of twelve. 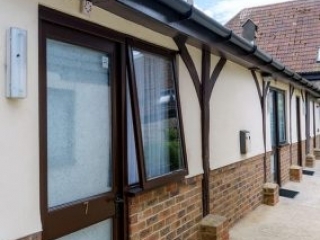 Enjoy your breakfast in a beautiful courtyard setting on a lovely summer’s morning or take your time over breakfast in our log cabin situated in the courtyard area. 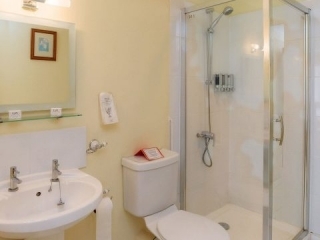 All our B&B guests appreciate having their own entrance and a key to their accommodation, giving them much more privacy. They also comment time and again on how peaceful the site is. You can now enjoy having breakfast of your choice at your requested time in our beautiful log cabin. 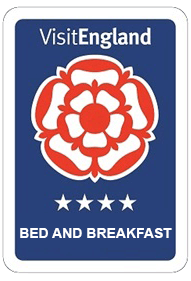 Our dedicated Bed And Breakfast accommodation is very popular with business people who require shorter stays on weeknights. 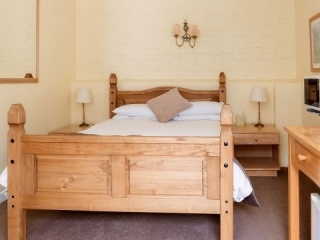 At weekends families, friends and lone explorers like to book our rooms and also the self catering holiday cottages. With so many diverse events during the year, folk often want to stay with us each time they visit. 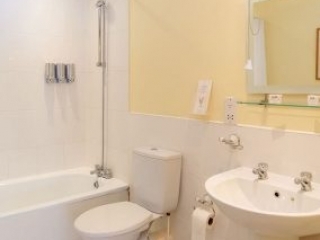 Oxford B&B can sometimes be difficult to book in the busy times. 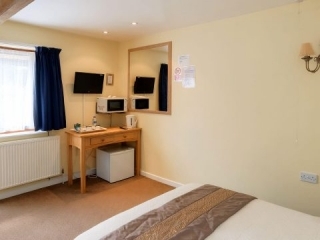 However, our central location, just six miles away in the beautiful town of Abingdon allows you easy access to all the historical sights. 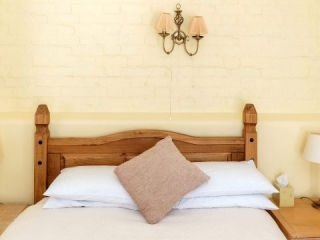 We offer stylish Bed And Breakfast rooms and delightful self catering cottages and lodges. Providing a five-star service at reasonable prices is what we continue to focus on, and we love to see the same faces returning! 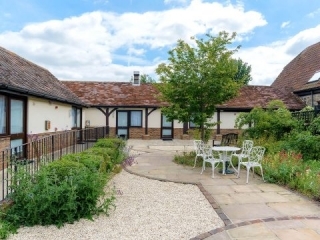 Within easy reach of major routes like the A34, M4 and M40, Kingfisher Barn is the perfect place to spend the night in peaceful surroundings, and only 10 minutes walk from Abingdon town centre. 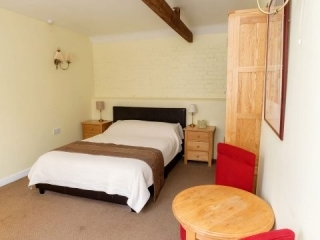 We like to make sure that even a one night stay in our B&B rooms is relaxing and enjoyable. 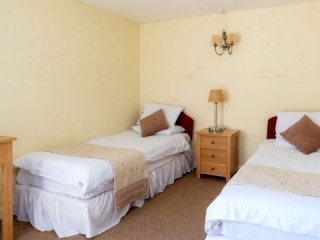 Situated around a courtyard garden and all on the ground floor, we offer two double rooms and eight twin rooms for our guests. 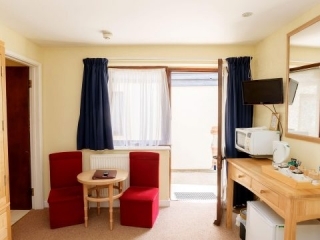 We prepare the rooms to a high standard, this means, total comfort, with a homely, fresh, and clean feel. 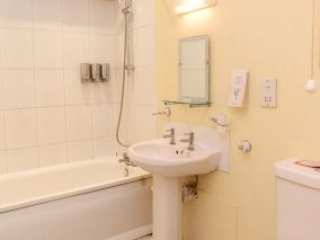 All rooms are recently redecorated and include en-suite bath or shower room with toiletries and fresh towels provided. We can serve breakfast at a time that best suits you (from 7 am Monday to Friday, 8 am on Saturday and Sunday). 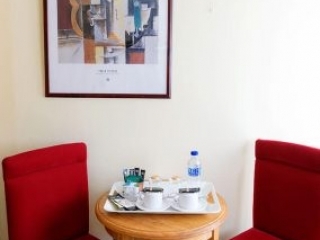 For early departures, breakfast can be arranged the night before by placing the breakfast facilities in the room. 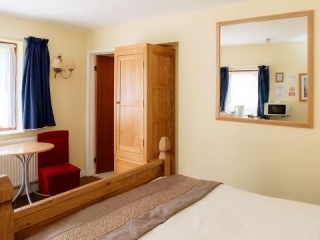 If you are arriving after our reception closes there is a large yellow telephone on the reception wall which will connect you to our Night Porter system so they can meet you at reception and check you in (check in after 11.30pm must be made by prior arrangement). Check in time is 1pm and check out time is 10am. 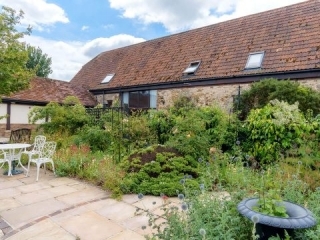 Bed And Breakfast Oxford - Kingfisher Barn oozes charm and tranquillity with a hint of excitement. We look forward to seeing you very soon! Historical Abingdon became the county town of Berkshire sometime after receiving its Royal Charter in 1556. It is a market town and civil parish in England. This breathtaking town located just six miles south-west of Oxford was formally a county town of Berkshire but had a slight name change in 2012 to become Abingdon-on-Thames. Abingdon town centre refurbished in 2007 as part of the council's redevelopment plan took on a great new look. All work was in keeping with the surrounding area. Come and discover this delightful town for yourself, explore and learn its history, there's so much to see and do! In 1084, William the Conqueror celebrated and enjoyed Easter at the Abbey. He then left his son, the future Henry I, to be educated there. With years of experience and a passion for dogs, we understand your pet is a special member of the family, and you'll want him/her to enjoy the holiday just as much as you! Our 'Pet-Friendly' policy means you can relax and spend some great time together. From stunning country walks to ambling along the banks of the River Thames, let your 'pooch' enjoy the serenity of our beautiful Abingdon. 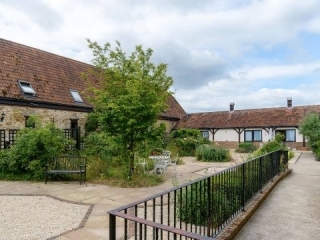 The accommodation at Kingfisher Barn has been created from converting old farm buildings dating back as far as the 17th Century. 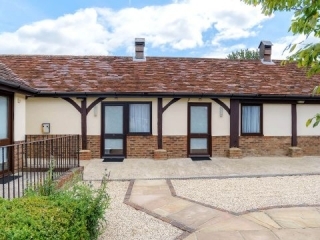 Made of red brick and tile for the smaller cottages and stone and handmade tiles for the large lodges, these converted barns ooze charm and history. 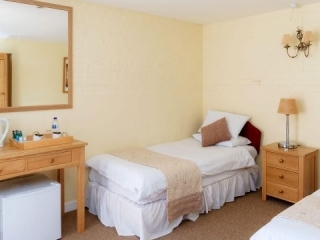 Explore the historical town of Abingdon, and take in the breathtaking sights of Oxford.